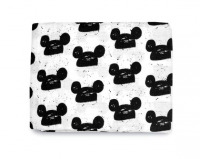 This organic cotton swaddle infant blanket features a cute Mickey Mouse ear print. 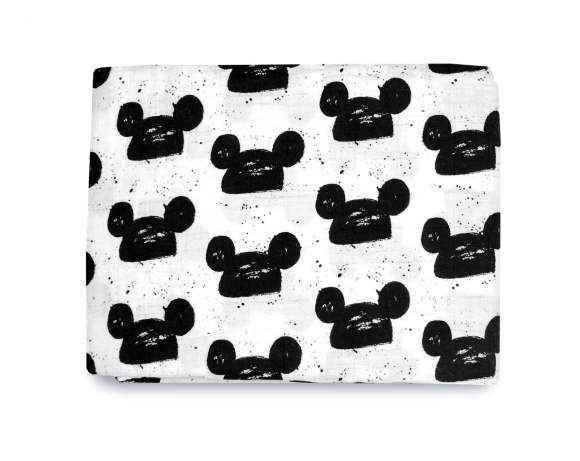 The modern high contrast black and white design on this baby organic cotton muslin swaddling blanket enhances baby's vision and stimulates baby's brain development. This fun organic cotton muslin swaddle blanket is both gentle on baby's delicate skin and environmentally friendly. 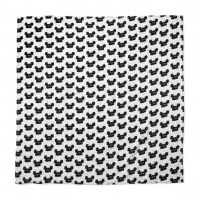 This soft organic cotton muslin baby swaddle blanket is a unique and fun eco friendly baby gift. 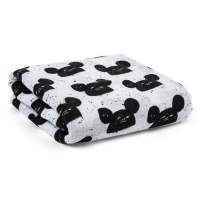 This earth friendly organic cotton infant blanket is soft to start with and becomes even softer with each wash and use. Organic cotton is softer than conventional cotton, which is why this swaddling blanket is soft and snuggly. This eco friendly organic swaddle makes a fun modern newborn baby gift. 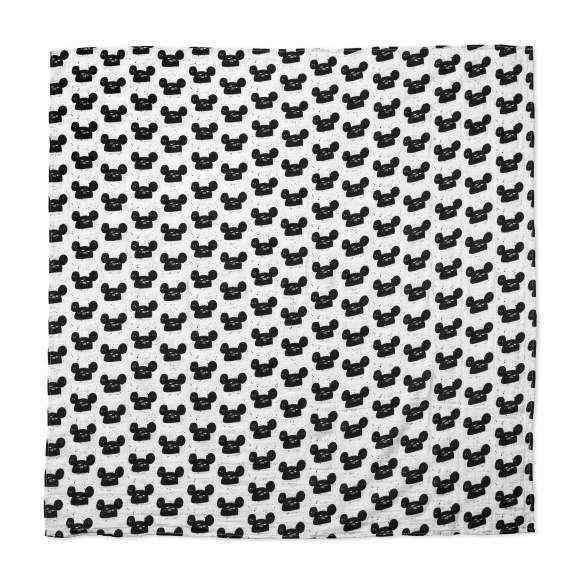 It will be really hard to pick just one swaddle baby blanket design. Pair this cute organic cotton swaddling infant blanket with some of our other eco friendly swaddles, available in the "You might also like" section, for a super cool baby gift. This organic cotton swaddle infant blanket features soft certified organic cotton muslin fabric not treated with chemical fertilizers or pesticides, making it earth friendly and safe for the delicate skin of sweet babies. This organic cotton muslin swaddling blanket is sure to be a memorable and fun baby gift.